Applications are now being received for the 2017 Finzi Scholarships (deadline 12 November 2016). The stained glass memorial windows to Gerald Finzi were installed and dedicated in Gloucester Cathedral on 25 June this year. Finzi Scholarships for 2016 have been awarded to Andrew Garvey, Sadie Harrison, Fiona Mackenzie, Liam Maloney and Tatty Theo, and Churchill Finzi Fellowships to Christopher Barr and Anna Williams. Endelienta is offering a Finzi Trust residency opportunity for a composer at St Endellion, North Cornwall, together with opportunities for a writer and a visual artist to work for 7 days on location. The residency includes a stipend of £675 including travel expenses. Accommodation and work space is provided. Scholarships have been awarded to Sara Ascenso, Kate Honey, William Lenton, Alec Roth and Belinda Williams and Churchill Finzi Fellowships to Jennifer Adams, Steven Legge and Helen Sanderson. The deadline for the 2016 Finzi Scholarships has now passed. The Finzi Trust is also collaborating with the Winston Churchill Memorial Trust to award up to two Travelling Fellowships for British citizens who are over the age of 18 and resident in the UK to undertake projects specifically involving music in education that bring benefits for others in the UK. For further details visit here. The deadline for 2016 Fellowships has now passed. 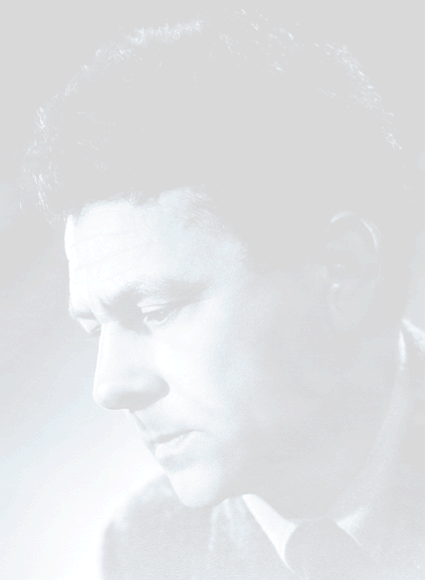 Gerald Finzi is one of the most admired British composers of the 20th Century. His music embraces a rich variety of moods, from elegiac lyricism, through spiritual reflection, to radiant joy. Read Finzi’s seminal Crees Lectures. The Trust is extremely grateful to Finzi’s biographer Diana McVeagh for editing the three lectures. You can now read them online. The Finzi Trust is an organisation set up in 1969 to further the music, ideals and work of Gerald Finzi. The Finzi Friends was formed in 1982 to further interest in Gerald Finzi's life and work and bring together people with similar interest. Read more and join online. The clock of the years: this beautifully produced anthology celebrating twenty-five years of the Finzi Friends Newsletter, compiled by Rolf Jordan, is the first book to be published by Chosen Press. Here you can browse through archive material relating to the worlds of Gerald and Joy Finzi. A truly illuminating achievement. Gerald Finzi: His Life & Music: read Diana McVeagh’s study of Finzi’s life and work – an intimate and scholarly portrait of the man and his music. Visit the Green Plaque at Finzi’s birthplace - 93 Hamilton Terrace, St John’s Wood, London. From here it’s only a short walk for a tour of Lord's Cricket Ground or a bite to eat next to the beautiful canals of Little Venice. ‘Absalom’s place’ is Finzi’s own eloquent summary of his humanistic and artistic beliefs.